Hello everyone! Today I'm sharing my last project as a member of the Pretty Little Studio design team. A huge thank you to Melissa for having me, it was an absolute joy working with you and your products! 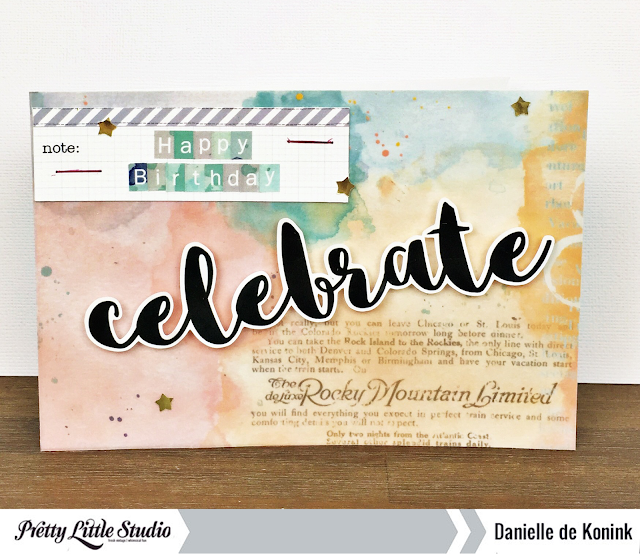 The Pretty Little Studio products are perfect to make a quick card. The base of the card is white cardstock and I covered it with the Rocky Mountains vellum, which gives you a spectacular background. 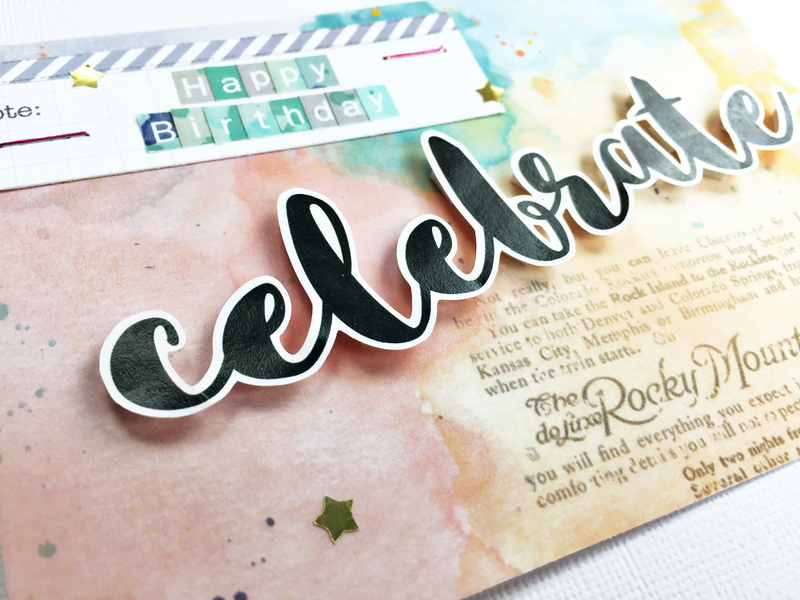 All you need to add is a note cutout with your sentiment and a big word art, like the celebrate one. Products Let's Go collection: Rocky Mountains vellum | New York Notes | Tiny ABC Cloudy Day | Word Art Celebrate. Products Gold Mine collection: Gold Foil Alpha.